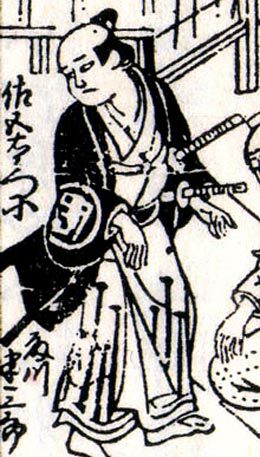 The actor Fujikawa Shigeemon held the name of Fujikawa Hanzaburô I at the beginning of the 1680s. The actor Kataoka Nizaemon IV held the name of Fujikawa Hanzaburô II from the 11th lunar month of 1726 to 1746. The actor Fujikawa Hanzaburô III held this name from the 11th lunar month of 1758 to 1771. 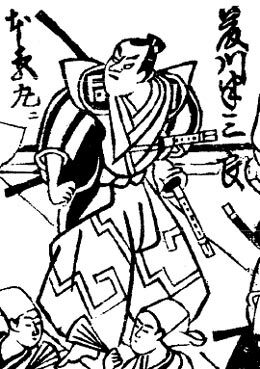 The actor Fujikawa Buzaemon II held the name of Fujikawa Hanzaburô IV from the 11th lunar month of 1791 to the 10th lunar month of 1797.